Florida residents could be forgiven for feeling like children caught between squabbling parents when it comes to the medical marijuana legalization issue. In a long-sought victory, the state of Florida officially approved the Florida Medical Marijuana Legalization initiative, popularly known as Amendment 2, in the general election held on November 8, 2016, where it garnered an overwhelming 71% voter approval. (1) Unfortunately, the federal government still classifies marijuana as a Schedule I drug under the Controlled Substances Act, which makes it illegal to use, sell, or possess all forms of marijuana under federal law. The Florida Legislature passed the pertinent Senate Bill 8A (SB 8A) on June 9, 2017 to establish regulations for the implementation of Amendment 2. For their part, the Florida Department of Health was mandated to begin issuing licenses to new Medical Marijuana Treatment Centers (MMTC), as well as identification cards to qualified patients and legal representatives, by October 3, 2017. 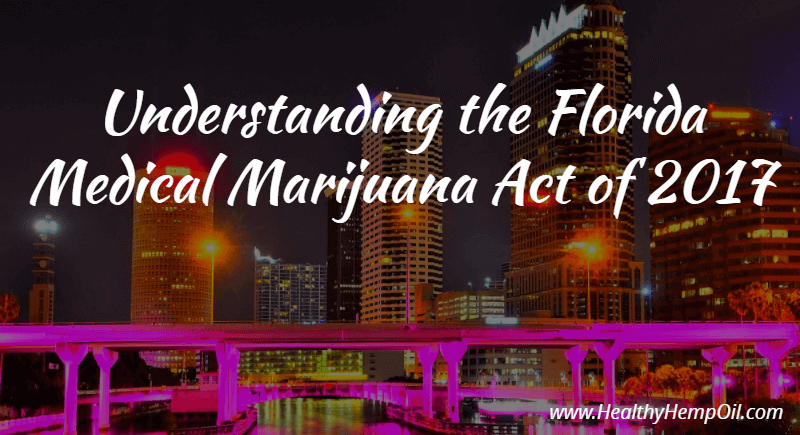 With this backdrop in mind, let’s explore the various issues, concerns, mechanics, and implications of the Florida Medical Marijuana Legalization initiative. Various stakeholders, ranging from patients and their legal representatives to physicians and business owners wishing to enter the newly legalized industry, will find useful information here related to their particular interests. Marijuana has suffered through the “reefer madness” stigma throughout most of the twentieth century. Aided by popular media, it has cultivated a bad reputation associated with gang culture, irrational behavior, debauchery, and violence. Most of these fears have been proven to have no scientific basis, however, and, since the latter part of the twentieth century, a steady stream of researchers and advocates have professed the beneficial effects of marijuana in alleviating numerous ailments and conditions. 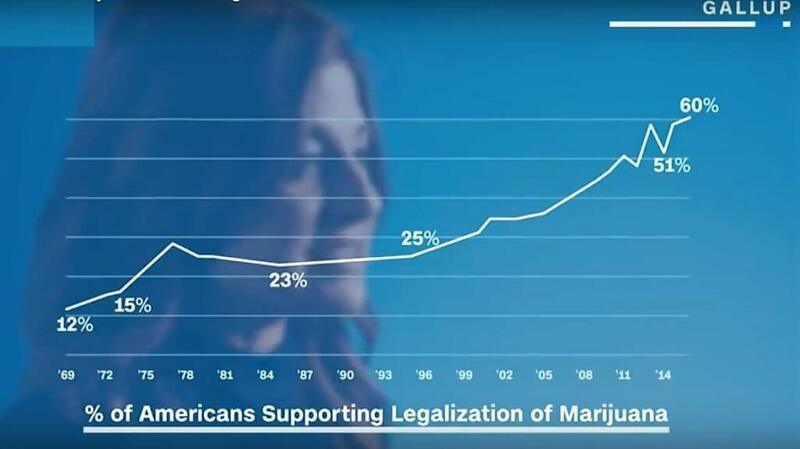 The deluge of positive testimonials, as well as scientifically backed evidence, has slowly shifted American sentiment in favor of marijuana legalization in recent years. A survey conducted by Gallup shows the dramatic increase in the number of Americans in favor of legalizing marijuana from a low of 12% in 1969 to a high (pun not intended) of 60% as of 2014. As previous generations have either passed on or grown older, their hardline stance against marijuana legalization has also eroded. The voting population has skewed to a younger, much more sympathetic generation largely in favor of legalization. This has placed much pressure on politicians to pass laws to legalize marijuana for medical or even recreational purposes in some states. Aside from the medical benefits, another strong driver for the Florida Medical Marijuana Legalization initiative is the economic windfall expected to come with it. Proponents argue that revenues previously restricted to the black market can now be harnessed to contribute to the public coffers. Other states that have adopted legal medical marijuana have reported increased tax revenues and tourism as a result. For reference, Washington and Colorado have collected upwards of $150 million in tax revenues in some fiscal years. Florida will not be imposing a sales tax on medical-marijuana-related purchases, however, so the economic benefits will be felt mainly through the creation of new jobs. These jobs will be needed to support the accredited Medical Marijuana Treatment Centers (the only facilities legally allowed to grow, process, dispense, and distribute medical marijuana products), laboratories, and affiliated industries such as accessories manufacturing. Other medical marijuana states reportedly created 123,000 new jobs from the industry in 2016 alone. Previously, Florida Governor Rick Scott signed the Compassionate Medical Cannabis Act of 2014, which became effective on January 1, 2015. (4) It allows qualified Florida-resident patients access to low-THC cannabis based on their physicians’ recommendations. 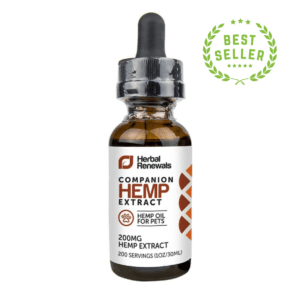 Low-THC cannabis is defined as containing “0.8 percent or less of tetrahydrocannabinol (THC) and more than ten percent of cannabidiol (CBD)” by weight. In March 2016, the statute was expanded to include access to more potent marijuana strains, termed “medical cannabis,” for use by terminally ill patients. Thus, in theory, qualified Florida patients may be eligible for two types of medical marijuana depending on their conditions, albeit under restrictive guidelines and even narrower usage parameters. Advocates argued that Florida cannot be considered a full-fledged medical marijuana state because the law only applied to a specific type of marijuana or a narrowly defined set of users (terminally ill patients). In an effort to expand the scope of the medical marijuana law, a citizen-initiated state constitutional amendment called Florida Amendment 2 was able to gather enough support to be included in the November 4, 2014, general elections. Despite garnering 57.6% of the total votes, the initiative failed to pass by a slim margin as Florida requires a 60% super-majority vote for constitutional amendments. Building on the lessons of the failed 2014 initiative, the proponents of Amendment 2 embarked on a new campaign and petition drive. They eventually amassed enough signatures to have the revised initiative included in the 2016 general election ballot. On June 9, 2017, the Florida legislature passed Senate Bill 8A (SB 8A), the Medical Use of Marijuana Act, to establish regulations for the implementation of Amendment 2. We explore the relevant points of this critical piece of legislation through the following topics below. Amendment 2 proponents cited vague wording that resulted in voters misunderstanding some of the provisions as one of the main reasons for the initiative’s narrow initial defeat in 2014. This ambiguity led some undecided voters to cast their votes against the measure, wary that loopholes may be exploited by unscrupulous individuals for illegal activities. 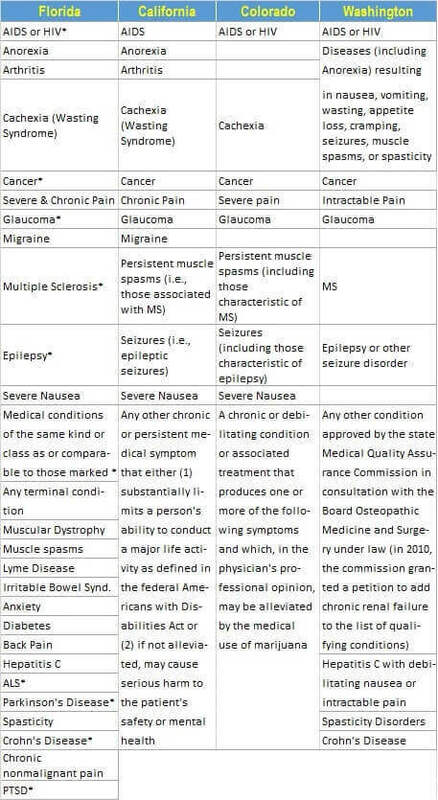 Chronic illnesses covered by the bill have been effectively expanded by clearly emphasizing the “same kind or class as or comparable to” the main conditions or ailments enumerated under the “debilitating medical condition” provision. Additional provisions were added to impede the “drug-dealer loophole,” which was a major cause for concern among opponents of the 2014 version. One such concern is the provision for the maximum number of patients the MMTCs are allowed to treat in a year. Amendment 2 proponents cited the need for a more expansive list of qualifying conditions eligible for medical marijuana use as one of the main justifications for raising the aforementioned citizen-initiated state constitutional amendment for voting in 2014 (failed) and again in 2016 (passed). Under the Compassionate Medical Cannabis Act of 2014, only terminally ill patients were allowed access to either low-THC cannabis or medical marijuana. These are patients who are expected to die within one year of diagnosis without the aid of any “life-sustaining procedures.” Their physicians must prove that they have exhausted all other possible treatments and that they have been treating the patient for at least three months before they can be enrolled in the Compassionate Use registry. Not only are more ailments and conditions directly defined as eligible for medical marijuana use under the new law, but the licensed physicians have also been given more leeway to endorse patients for the program if they are proven to be suffering from conditions similar in nature to those already defined. Oral – products are administered through the mouth. 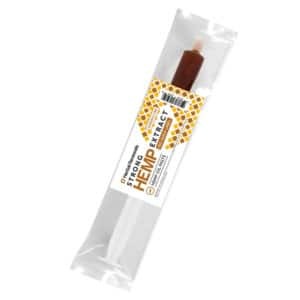 Common examples are tinctures, ingestible oils, and edibles (infused food and beverages). Topical – cannabis extracts are applied to localized areas of the body. 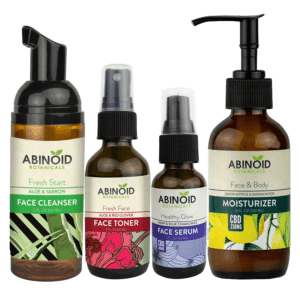 Cannabinoids are absorbed through the skin before entering the bloodstream. Vaporization – this method utilizes a vaporizer to heat cannabis concentrates (either oil or wax) to a temperature high enough to extract the cannabinoids such as THC and CBD without necessarily releasing harmful toxins normally associated with combustion. Inhalation of medical marijuana (other than vaping), however, is prohibited under SB 8A. This means that smoking (through the use of hand pipes, water pipes, rolling papers, hookahs, and other homemade devices) is still against the law. Proponents of Amendment 2 have been protesting the exclusion of smoking from the approved medical marijuana delivery methods. They argue that the smoking ban violates the intent of Amendment 2 as the mode of administration should be left to the judgment of the patient’s licensed physician. On July 5, 2017, John Morgan, chairperson of the People United for Medical Marijuana (PUMM), filed a lawsuit against the State of Florida and concerned agencies regarding this matter. Only a qualified physician who holds an active, unrestricted license as an allopathic physician under chapter 458 or as an osteopathic physician under chapter 459 may place a physician certification in the Medical Marijuana Use registry for a qualified patient. It must be firmly established that the benefits of using medical marijuana far outweigh any potential health risk to the patient. The physician must be physically present in the same room with the patient when conducting the evaluation. He must also have successfully completed the mandatory two-hour course and exam offered by the Florida Medical Association or the Florida Osteopathic Medical Association to be eligible to issue medical marijuana certifications. Qualifying patients may obtain a physician certification for a 70-day supply with two allowable refills of the same amount (e.g., enough for 210 days on a single certification). The amount is computed by a patient’s daily dose as determined by his or her physician. Once the patient has exhausted the full entitled supply allocation, he or she will need to secure another physician certification. Physicians must evaluate existing qualified patients under their care at least once every 30 weeks. This is a more manageable schedule compared to the previous requirement under the Compassionate Medical Cannabis Act of 2014, wherein patients had to be evaluated at least once every 90 days. The mandatory waiting period, part of the two previous medical marijuana bills signed by Gov. Rick Scott, was largely criticized when it was applied to terminally ill patients who may not live long enough to wait 90 days for treatment. Under SB 8A, a qualifying patient may receive a medical marijuana certification on his or her first visit, depending on the physician’s evaluation. Provide a Florida proof of residency – a copy of his or her valid Florida driver’s license, or a copy of any valid Florida identification card issued as per s.322.051. Be registered with the Medical Marijuana Use Registry of the Florida Department of Health – it is the responsibility of the patient’s physician to input the patient’s name and other details into the registry. Present a Medical Marijuana Use Registry identification card – the Department of Health is mandated to issue these identification cards beginning October 3, 2017. One proof of residential address from the seasonal resident’s parent, stepparent, legal guardian, or other person with whom the seasonal resident resides and a statement from the person with whom the seasonal resident resides stating that the seasonal resident does reside with him or her. A utility bill, not more than two months old. Mail from a financial institution, including checking, savings, or investment account statements, not more than two months old. Mail from a federal, state, county, or municipal government agency, not more than two months old. Any other documentation that provides proof of residential address as determined by department rule. There are currently seven accredited Medical Marijuana Treatment Centers utilized to serve the requirements of the previous Florida medical marijuana bills. SB 8A requires an additional ten MMTCs be registered by October 2017. Under Florida law, Medical Marijuana Treatment Centers are the only entities licensed to cultivate, process, transport, dispense, and distribute low-THC cannabis, medical cannabis, and cannabis delivery devices in the state of Florida. Each MMTC company is allowed to open up to 25 medical cannabis dispensaries; hence, there could be as many as 425 dispensaries operating in the state of Florida in the near future. More MMTCs are expected to be accredited in the coming months as the Department of Health has specified that for every 100,000 registered qualified patients an additional four Medical Marijuana Treatment Centers shall be licensed to operate. New Medical Marijuana Treatment Center applicants are no longer required to have been in business for 30 years in order to apply for license. Under SB 8A, a company that satisfies the Department of Health’s requirements for accreditation shall only be required to prove that they have been conducting business in the state of Florida for at least five years prior to the application. Possession of a valid certificate of registration issued by the Department of Agriculture and Consumer Services pursuant to s. 581.131. Originally devised over 40 years ago as a way for hospitals to extend medical services to patients who are located in remote regions, telemedicine is now an integral part of the healthcare system in the United States. 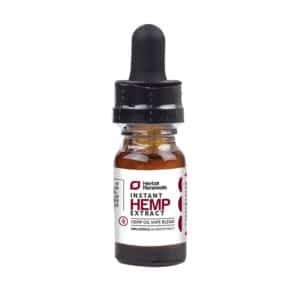 It has been fully integrated into the operations of some physicians, hospitals, and home health agencies as well as into the homes or offices of some patients. I would like to revise this paragraph as follows: Telemedicine is defined as the practice of medicine where patient care, treatment, or services are performed remotely by exchanging medical information from one site to another through electronic channels such as video calls, emails, smartphones, wireless applications, and other means of telecommunication technology. The benefits that can be derived from telemedicine practice include a) improved access to patients, b) cost-effectiveness, c) increased efficiency in managing chronic diseases, and d) providing another layer to the overall quality of healthcare delivery. How does it apply in relation to Florida’s newly implemented medical marijuana law? Senate Bill 8A is actually very clear about the matter. It says that, as indicated earlier, a physician certification for medical marijuana may only be issued if the physician has “conducted a physical examination while physically present in the same room as the patient and a full assessment of the medical history of the patient.” Therefore, it is basically illegal in the state of Florida to be given a physician certification for medical marijuana without in-person consultation. 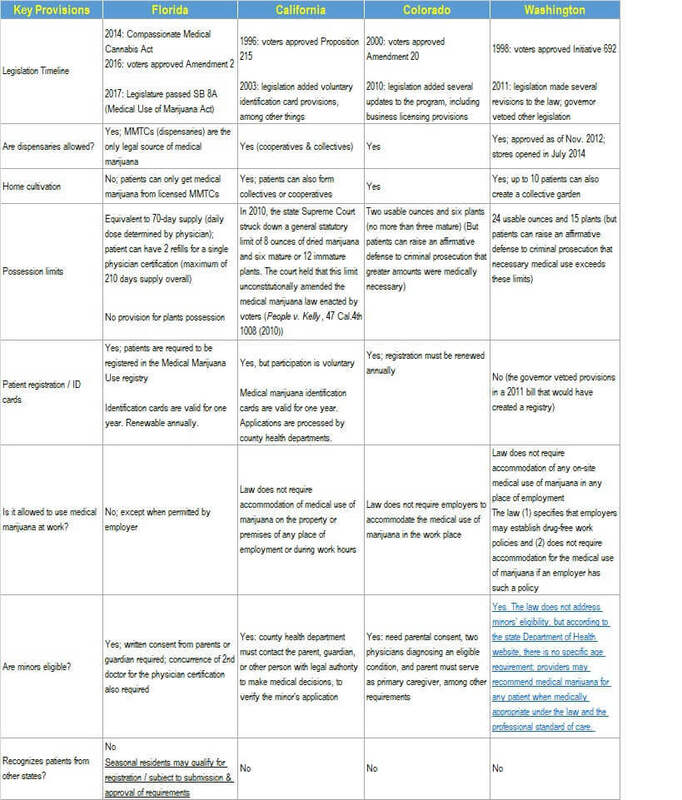 So, technically speaking, telemedicine for medical marijuana certification is justifiable under specific circumstances. There are online services available that claim to screen individuals for medical cannabis use by connecting doctors with patients through video chat, such as HelloMD, EazeMD, and NuggMD. That being said, the safest way to acquire certification is still an in-person physician consultation. If that is not possible and you or if your loved one happens to qualify under the specific exemptions cited by the Florida Board of Medicine, then you may opt for the telemedicine exam at your discretion. Under SB 8A, marijuana home cultivation is completely off the table in the state of Florida. Qualifying patients may only source medical marijuana through licensed Medical Marijuana Treatment Centers (MMTCs). There may come a time in the future when medical marijuana home cultivation is permitted. At this stage, though, when medical marijuana legalization is still in its infancy, it’s apparent that Florida wants to monitor everyone involved as closely as possible. While this may point to an outright loss of revenue for the state of Florida, it does, directly benefit patients, who will have access to more affordable medical marijuana products and delivery devices for the treatment of their ailments and conditions. 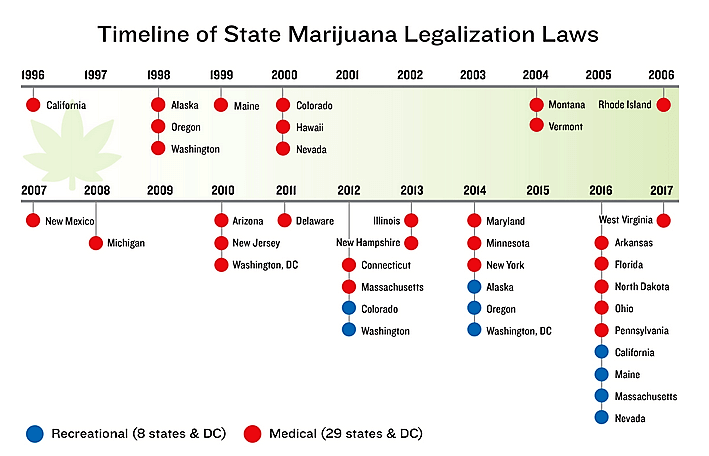 To date, a total of 29 states plus the District of Columbia have enacted medical marijuana legalization laws. Eight of the 29 (plus DC) have also adopted laws for recreational use of marijuana. More than half of these laws have been passed in the last five years alone. To this effect, Florida appears to be a late entrant into the medical marijuana game with Senate Bill 8A only enacted earlier this year. Assuming that it has the benefit of learning from the other states that have passed their own legislations, how does Florida’s medical marijuana bill compare? Florida’s medical marijuana framework closely resembles that of DC and Massachusetts. But for our purposes, we will compare it side-by-side with those of California, Colorado, and Washington, which are some of the early adopters and are among the most liberal and most popular medical marijuana programs in the country. How do I apply for a medical marijuana card in Florida? Where can I get Florida medical marijuana? You may obtain medical marijuana from any licensed Medical Marijuana Treatment Centers (MMTCs). They are the only entities legally allowed to dispense medical marijuana in Florida. You can find the nearest center by opening the link provided in Question 8 below. Note that, prior to visiting an MMTC, you must first be entered in the Medical Marijuana Use Registry by a licensed physician who has evaluated you for a qualifying condition. He or she will issue a physician certification based on your condition. The certification serves as your order and will be fulfilled by the MMTC staff. You will also be asked for your Medical Marijuana Use Registry identification card upon claiming the products. How do I apply to open a Medical Marijuana Treatment Center in Florida? For a full list of the requirements for MMTC license application, you may visit this link. Is medical marijuana covered by insurance in Florida? No. Medical marijuana used by qualified patients is not yet supported by insurance companies in Florida. Am I permitted to grow my own medical marijuana in Florida? No. Only licensed MMTCs are authorized to grow, process, and dispense medical marijuana in Florida. Who can sell medical marijuana in Florida? An additional ten MMTC companies are expected to be licensed by the Department of Health by October 2017. How can a patient purchase medical marijuana in Florida? A patient must first visit a licensed physician and be evaluated for a qualifying condition. The physician then inputs the patient’s details and the order information into the Medical Marijuana Use Registry. Once this is completed, the patient or his/her legal representative may approach any of the licensed MMTCs to fill the order. Note that either the patient or his/her legal representative will have to present a Medical Marijuana Use Registry identification card upon claiming the product. Where are the Florida dispensary locations? You can refer to this link about all dispensary locations in Florida. Just input your city on the My Location field, and it will show you a map indicating the nearest dispensaries to your current location. Who are the qualified doctors in Florida? The Office of Medical Marijuana Use has set up a page listing all the licensed physicians on the registry. It is updated every Friday and is sorted per city or county for your convenience. Contact numbers are also listed in case you want to schedule an appointment. Can you get your medical marijuana license in Florida for mental illness? If so, how? Mental illness by itself is not listed as a qualifying condition for medical marijuana in Florida. You may visit a licensed physician to be evaluated for other conditions that may qualify. Refer to Section III of this article for a list of qualifying conditions. I have sometimes-debilitating arthritis and have been hospitalized for PTSD. Can I get a medical marijuana card? PTSD is listed as a qualifying condition for medical marijuana in Florida. Arthritis can also be justified under “chronic nonmalignant pain.” Refer to Question 1 above for the necessary steps to obtain your own Medical Marijuana Use Registry card. Can I share my medical marijuana with another person? No, you may not. The physician certification is meant specifically for you. It is illegal to share medical marijuana with another person – regardless of whether he or she is a currently registered patient or not. Can I get medical marijuana if I don’t have a qualifying condition? No. It is not possible for you to legally have access to medical marijuana in the state of Florida if you do not have any of the qualifying conditions. Physicians cannot and will not input an order for you in the registry without a qualifying condition. Did you find this article helpful? Leave your comments or questions below. We will respond to you as soon as possible. 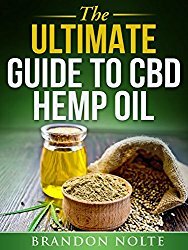 This entry was posted in United States CBD Policy and tagged Florida.